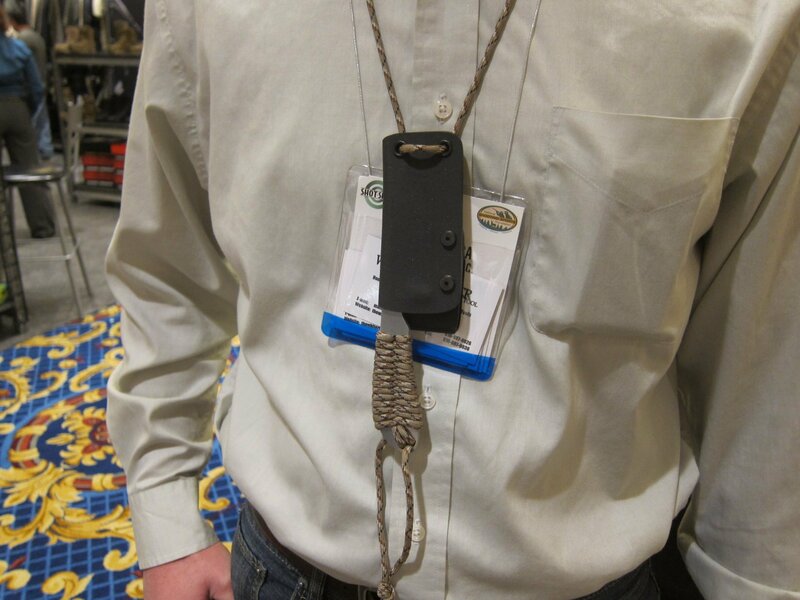 White River Knives (WRK) Backpacker Lightweight Hunting/Tactical Knife/Neck Knife at SHOT Show 2012 | DefenseReview.com (DR): An online tactical technology and military defense technology magazine with particular focus on the latest and greatest tactical firearms news (tactical gun news), tactical gear news and tactical shooting news. 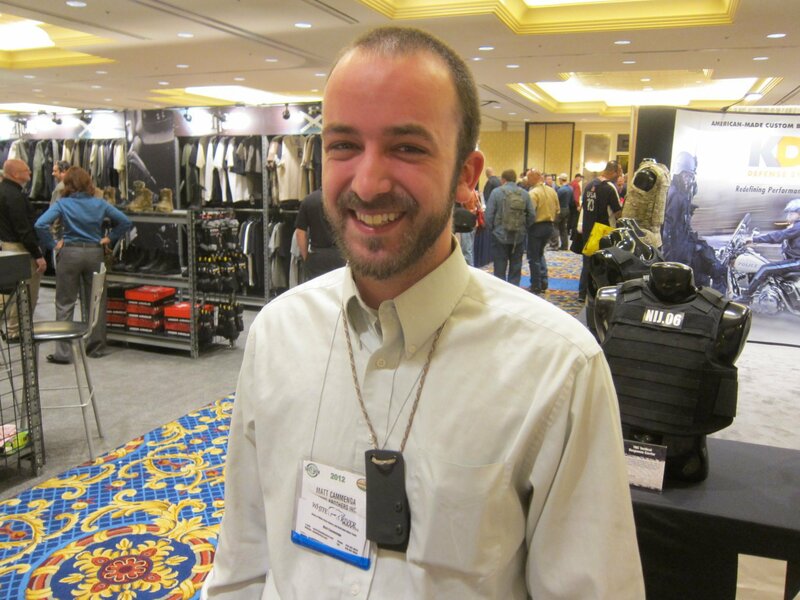 While DefenseReview (DR) was walking around the show at SHOT Show 2012, we ran into Matt Cammenga of Cammo Brothers (and his parents), and he showed us a cool little custom/handmade hunting/tactical “crossover” lightweight knife called the Backpacker, which he’s offering through his new knife company called White River Knife & Tool (WRKT), under the White River Knives (WRK) brand. 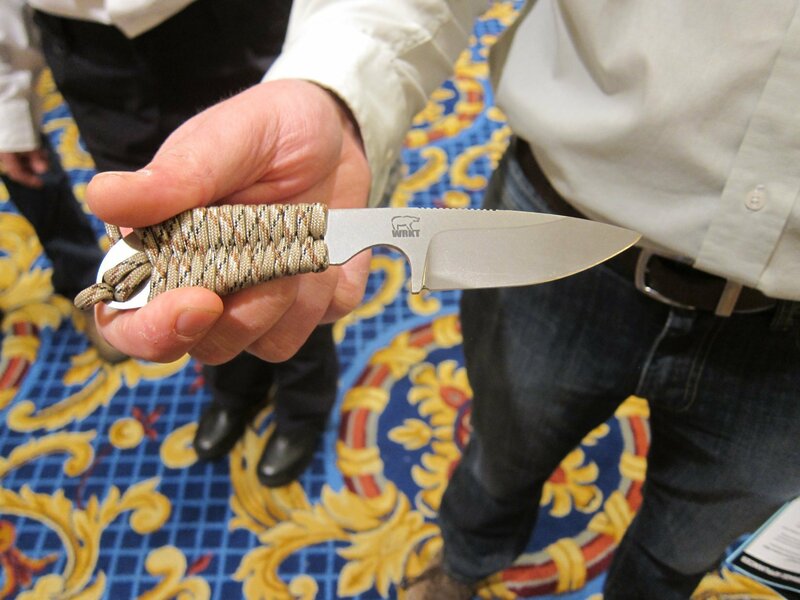 Made in Michigan “by Americans for Americans” as I quipped during his presentation of the knife, the WRK Backpacker lightweight hunting/tactical knifefeatures either a S30V or 440C stainless steel blade, depending on how much you want to spend, and a paracord-wrapped handle. At $75 and $55 respectively, the White River Backpacker lightweight hunting/tactical knife (fixed blade) is pretty affordable for what appears to be a well-made and well-designed product. Paracord color options are Black, O.D. Green, Camo (Camouflage), Desert Camo (Desert Camouflage), and Orange. 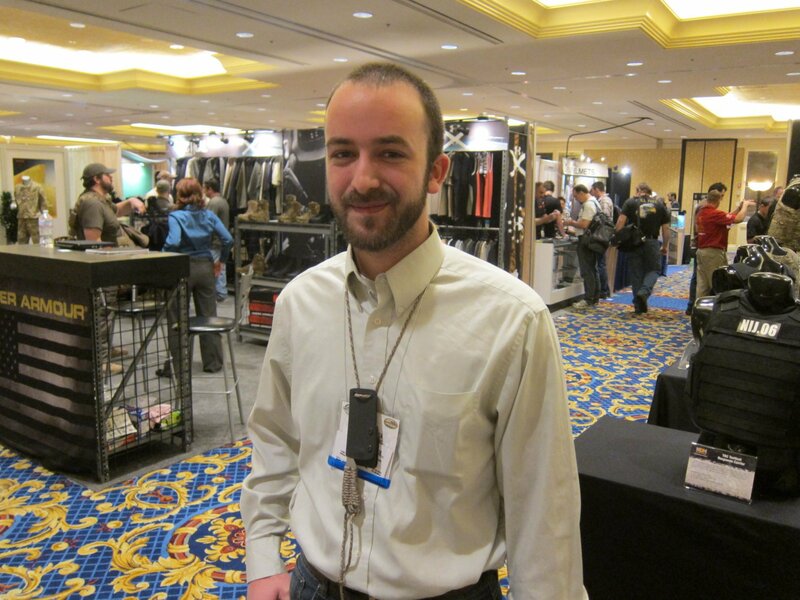 The knife comes with a kydex sheath, and it can be worn as a neck knife, as Matt was doing when we saw him. It’s certainly a nice-looking one, and one Defense Review would like to take on a trip sometime, whenever we can get our hands on a product sample for T&E. In the meantime, check out the video we shot of Matt Cammenga demo’ing the knife real quick for us. Cammo Brothers (CB) AR/AK Mag Loader (Rifle Magazine Loader) for Speed-Loading High-Capacity (4179 STANAG) 5.56mm NATO/.223 Rem. AR Rifle Magazines and 7.62x39mm Kalashnikov AK-47/AKM Rifle Mags: Loading Your Rifle Mags Just Got Even Quicker and Easier! Shiva Ki Custom Fightin’ Bowie Knife: Big, Fast, and Mean.